Truly love the history of this place and the back and forth between Britain and France to gain control of this fertile piece of land. Amazing stuff. 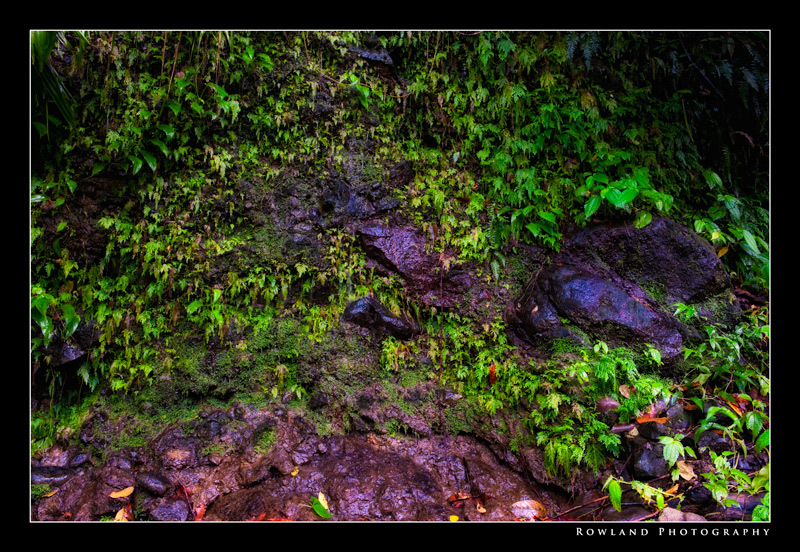 One of the great things about exploring the rainforest in St. Lucia was that constant feeling of moisture in the air. You could feel it. 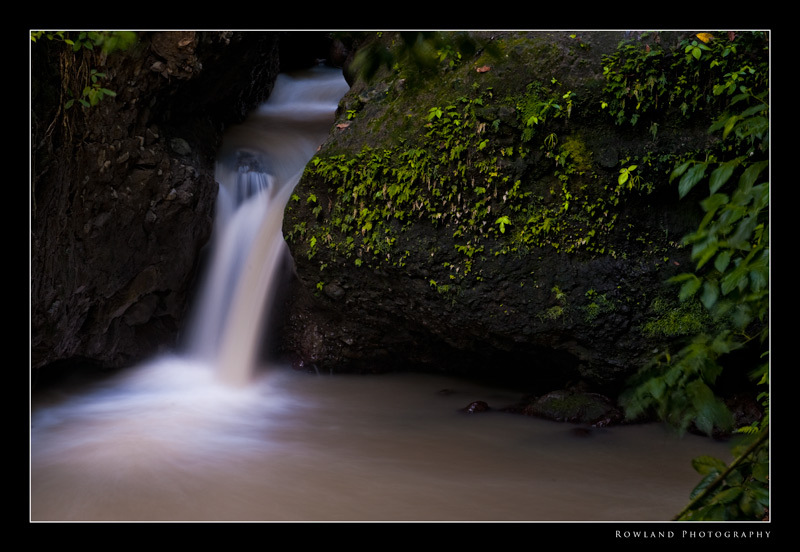 It felt clean, and filled your lungs with a wet mixture of oxygen… felt great to inhale and breath deep. The added benefit was everything around you was well… wet. 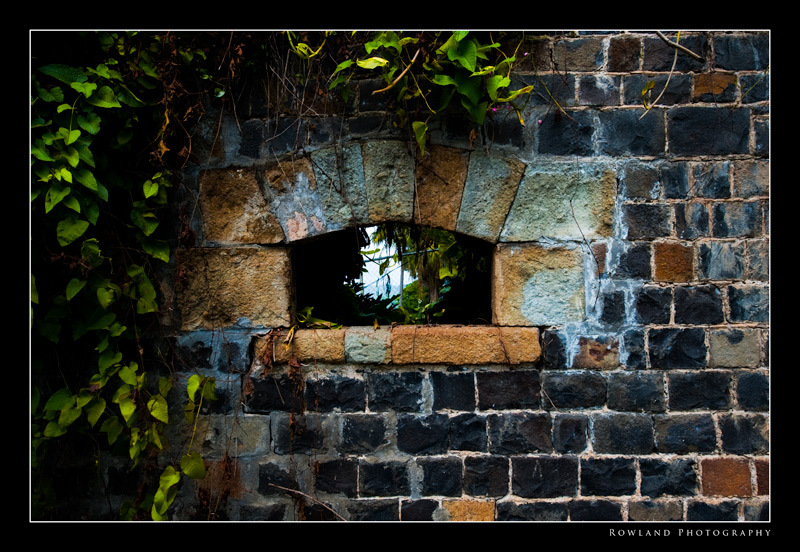 This wall of rock and ivy was just dripping wet and something about its sheen and the green of the living plants caught my eye. It’s a quick snap, but like some other pictures I’ve taken… there is just something in it that I really like… enjoy! 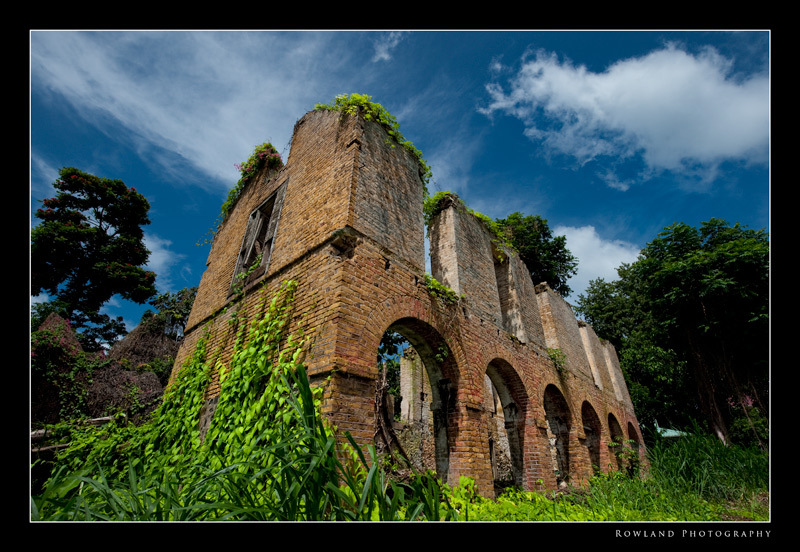 St. Lucia has a rich history. The British and French fought over the Island like a ping-pong match. 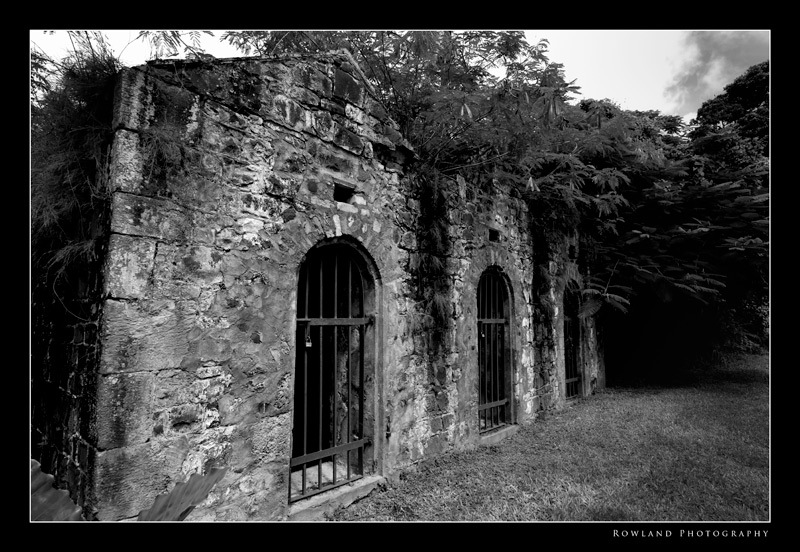 Seven times the Island changed ‘hands’ and each had an influence on the culture and architecture while they ruled. John, our guide from Serenity Tours took us up to the College in Castries where some original buildings from the colonial time period still stand. Amazingly, when you look at the buildings you can actually see the different styles of the French and British- a building would be started with brick (British) then it would switch to stone (French) back to brick (English) and so on and so on. Turns out the still active volcano provided very fertile land to grow crops. Bananas are still the largest export of the country (all go to the UK interestingly enough)- so the colonial powers recognized this and went to war over it. The shot below is of the British barracks located on the College campus. Was a really cool place to walk around. you could feel the sense of history and when you closed your eyes you could see the redcoats walking the grounds. History is great. Glad I was able to record some of its remnants for posterity. Had some R&R in St. Lucia, but cannot go to such a beautiful place without my gear and arranging an all day tour of the Island. 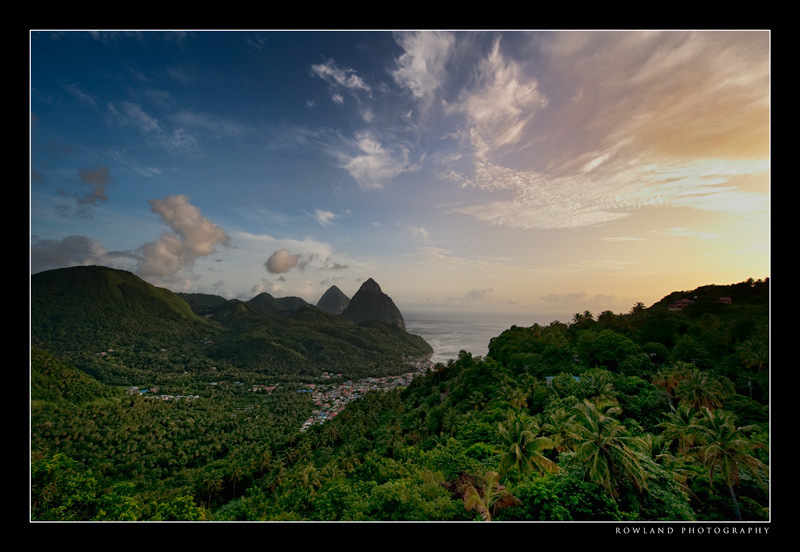 This shot is taken looking south-west, that’s the town of Soufriere (pronounced “Sue-Free”) sprawling to met the ocean while the mighty Pitons stand vigilant watch a little further south. The Pitons, and the whole region are actually remnants from a volcano that collapsed upon itself thousands of years ago, creating this incredible seen for us to behold today. The Pitons are straight out of Jurrassic Park, amazing t see this sheer walls rising from the ocean covered in palm tree and other local native plants. 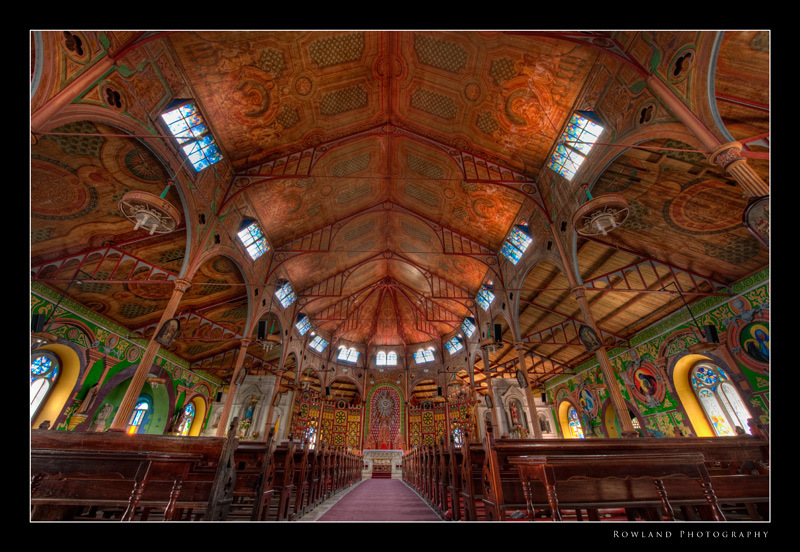 Amazing scene and amazing place… will be posting some more shots next week. 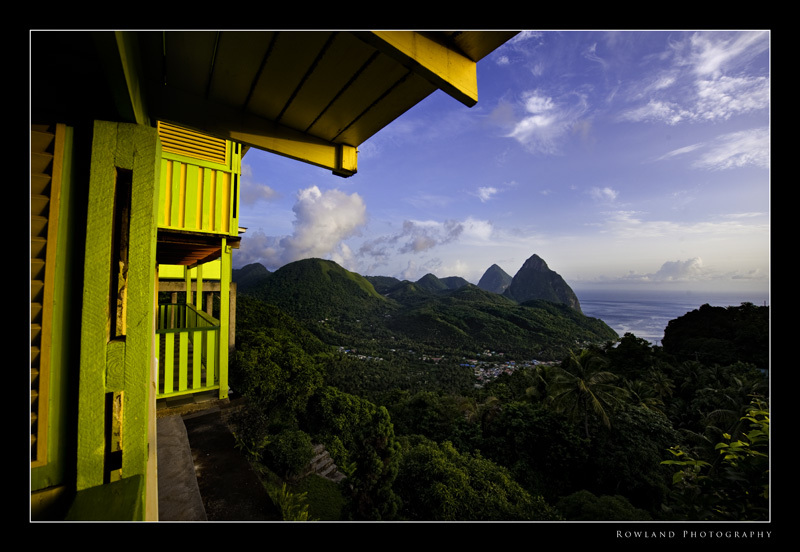 For those of you that may be thinking about going to St. Lucia, I would highly recommend John at Serenity Tours. The images I am going to post would not have been possible without his guidance and assistance managing around the Island. He actually took us pretty deep into the rainforest for some river shots- it defied belief how alive and incredible it felt to stand there in the midst of so many living things. I rarely give out recommendations, but I feel I must given the great care John took to make sure I got incredible images of his home.